Arpenteur | France’s Past is Present | A Continuous Lean. Blue, white, and yellow. Three simple colors that make up Arpenteur’s collections. Sure, there’s shades of blue tossed in there, some of which border right up next to grey, and sometimes green or red will surface, but generally Arpenteur’s designers Marc and Laurent Bourven keep their palate as refined as possible. 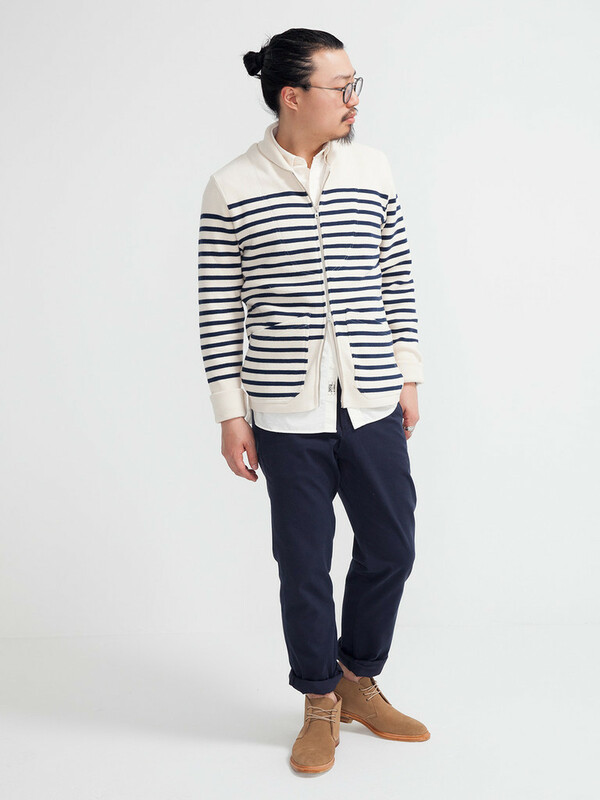 In fact, this understated approach runs consistently throughout all facets of Arpenteur’s collections, which update, but do not radicalize classic French workwear designs. For a pair of young designers the Bourven’s (who are cousins, not siblings) are armed with an enormous respect for their French heritage. And that’s heritage in terms of both clothing and history alike. 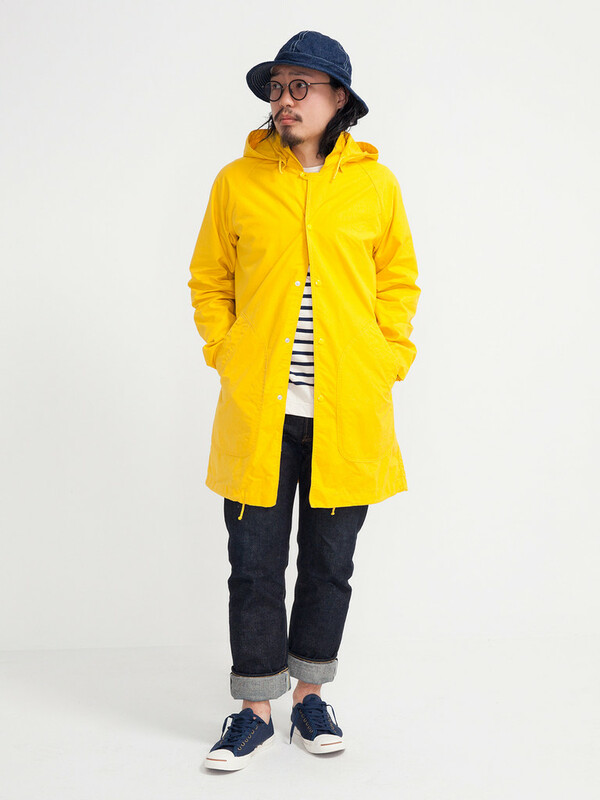 Their designs are simple, coastal inspired workwear pieces, including pullover fisherman smocks, Breton striped shirts, and bright yellow parkas with matching bucket hats. 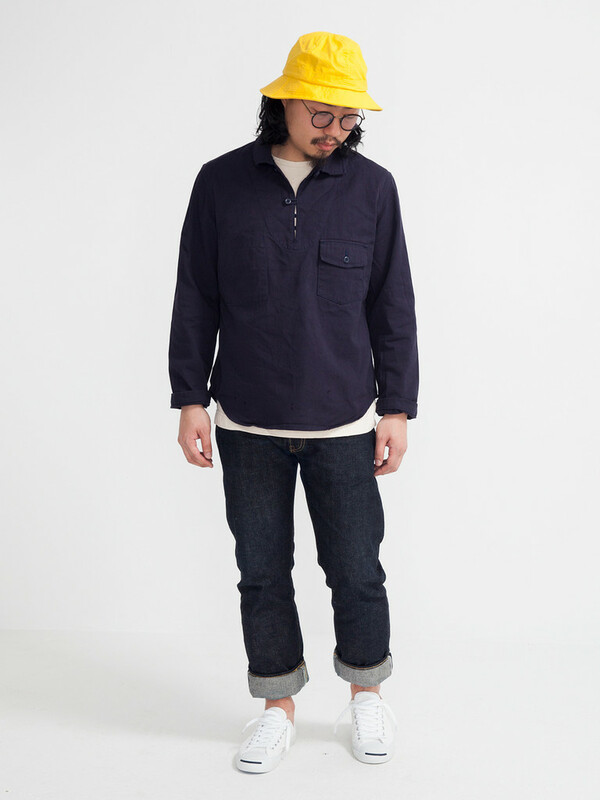 To produce these items the Lyon based brand has utilizies traditional factories across France to ensure that their collections not only mirror the look of classic French workwear, but the durability as well. What’s most surprising about Arpenteur is that the Bourven’s only founded the brand in 2011, and if they’ve been able to craft such a solid identity after just three years, then it’s hard to imagine what they’ll accomplish over the next decade. With Arpenteur paving the way, it would seem that the key to the future of French menswear can be found in the past, and that’s quite a good thing.